Experience you can trust, results you can count on. Happy Spring! This time of year is always a bit rejuvenating, no matter where you live. April and May promise to be a busy stretch - conference season, exciting new projects, and keeping up with all the industry trends. Read below to learn about what we are doing, and for some of our thoughts and insights on a few timely topics. Join us at the 45th annual NAHAM conference in Orlando. Our Patient Access team would love to meet you and learn about your current challenges and goals for the coming year. We will also reveal some of the new Quick-HIT packages we have been working on - what's more exciting than talking about registration quality and front-end payment collection?! If interested in connecting, please message Matthew Perron or Freeman Jenkins. The Wilshire Group is hosting a Happy Hour during Week 1 of XGM this year. We would love to see you/meet you & share some delicious Wisconsin food & drink. Wilshire customers past and present, any and all Epic customers, colleagues and friends are all welcome! Hope to see you in Madison! Please RSVP. Looking for an easy, fast way to find out what The Wilshire Group's all about? Want to share information with a colleague? Download our new brochures, which sum up our services and offerings. 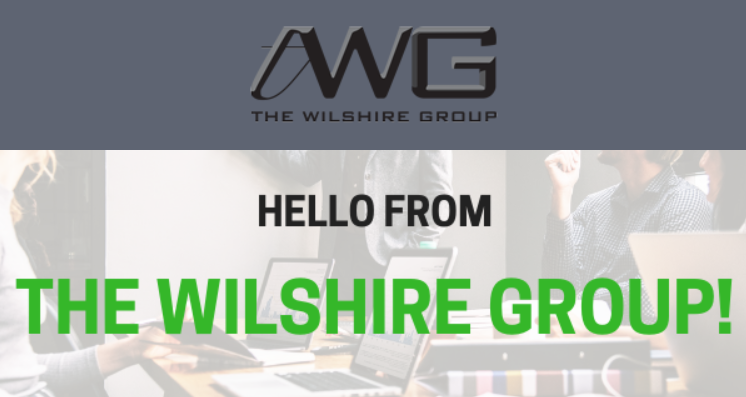 The Wilshire Group Intro - What we're all about and the core services we provide. Clinical Charge Capture - One of the many new service line projects we'll be highlighting throughout the year. Read more below! Understanding that affordability and return on investment are key in today's business, these projects are small in size and short in duration, but still big on results. By addressing known problem areas with targeted, well-crafted solutions and improvements for areas such as Authorizations & Eligibility, Charge Capture, OR/Supply Management, Outpatient CDI and more, these innovative projects provide immediate, measurable returns and unmistakable financial progress in short periods of time. Let us know if you would like to learn more about these new projects we've created! Have you caught our blogs on LinkedIn or on our website? Here's a couple of our most popular recent posts. We would love to hear your thoughts and comments on these topics. We look forward to continued engagement with our extended community of peers, colleagues, partners, and clients. If there is a topic you'd like to get our advice on or see us cover in the future, do drop us a line!